Fundraiser by Valerie Manfredini : Creating a Park to save a village! Creating a Park to save a village! Bedonia, Parma Italy is a small town nestled in the mountains of the Emilia Romagna region. This once booming town is now struggling to survive due to the Euro replacing the Lira. This has caused monetary strife which caused a chain reaction of factories going bankrupt, people losing jobs, stores closing, restaurants folding and people moving away in search of work. This area has so much to offer. Hiking, biking, nature walks, great food, horseback riding and being centrally located to many other amazing towns and cities in Northern Italy makes this village a true gem. Georgian Court University’s Digital Communication department has been working on giving it more visibility. We are all grateful to these students for their hard work and ideas that can facilitate tourism. However, there is much more that needs to be done. 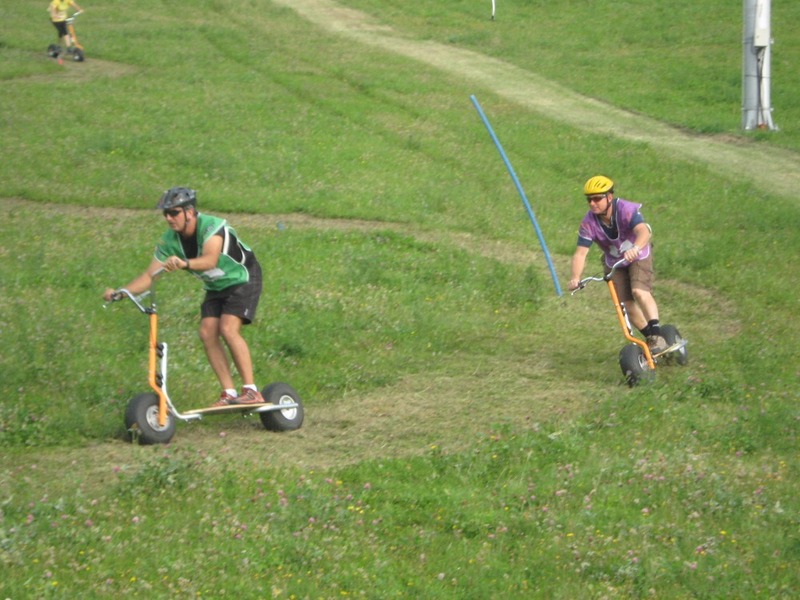 Our local, Italian entrepreneurs have been working on a plan to help initiate more movement in the area by creating an outdoor adventure park. It will be the only park of its kind in Italy. It will be environmentally friendly and make the physically disadvantaged participant. 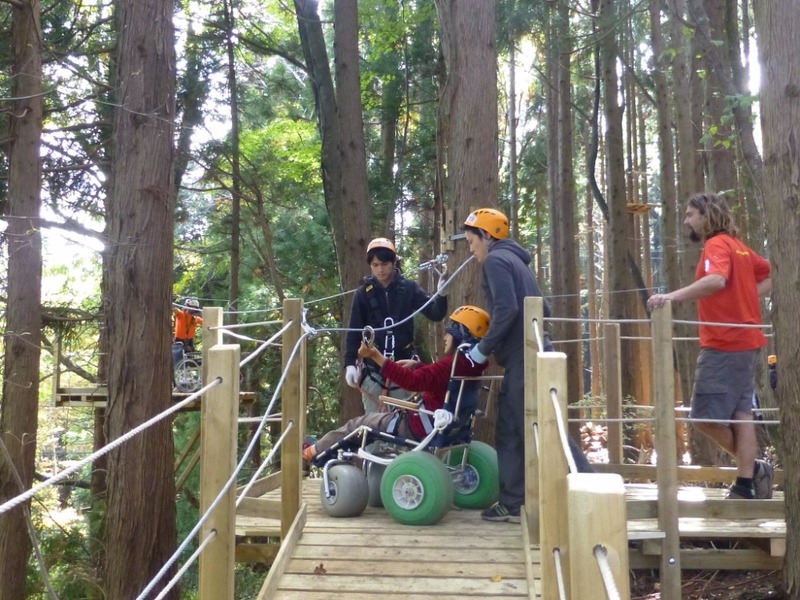 It will have zip lines, rope bridges, tree houses as hotel rooms, and paths through the woods that will all be wheel chair attainable. This innovated idea will sustain the locals giving us our independence. Great open fields, woods and hills will give this park its home. We have the project completed, the attractions chosen, the area designated. We have raised half the money through local donations and investments. But we have exhausted all other avenues. Now, we are reaching out to anyone who understands the beauty of the Italian culture. It is one of the few awesome spots left in Italy that cradles its roots and has held tight to its lifestyle. If any of you want to help, please post on social media sites, text and email this link to everyone you know or donate now. 1) We loved the quaintness of the town and even with the language differences, we were always welcomed and treated with great kindness. I will always remember waking up to the sound of church bells as each new day began. So many life-long, enduring and beautiful memories were made in Bedonia, Italy. 2) It's such a genuine slice of Italy, not full of tourists. It's a glimpse into true Italian culture, make sure you go to the Parmesan Cheese Factory, it's a must see! Bedonia, a wonderful place to visit! 3) Bedonia is a gem of a town with its interesting shops and restaurants that offer local delights. A comfortable place to stay and use as a "home base" to explore the larger area. The town has succeeded in keeping its old world charm in the modern era. Bravo to them all! 4) Bedonia is a beautiful small country town, that begs to be explored by foot, car or bike. I had no excuse to not run and all the reason to do so, with the surrounding meadows and woods. 5) I love the cobblestone streets, the view of the mountains and the quaint town. It’s great to walk into the village for a cappuccino or a wine. 6) Good restaurants, nice bars and friendly people…a great place to be. 7) Bedonia is an Old-world style town with charming shops, friendly people and fun caffes. 8) One of my favorite memories of Bedonia is walking the old cobbled lanes, through a fabulous street fair, smelling the clean mountain air, and looking at all the beautiful hand crafted items made by local artisans. 9) The first time I visited Bedona, I entered from the east on a road that wound around and led into the quaintest Italian Quintessential Village you could imagine. You could feel the warmth, love and peace of the Italian countryside immediately from inside our rental car. I stayed in the village for a week with my college age daughter and we both recharge our hearts, our souls and our spirits among the villagers! Can't wait to get back there. 10) Bedonia is a sweet gem of a mountain town. It felt cozy to walk down Main street of this little town and grab a sweet treat from the local gelateria, sip on a cappuccino while listening to the local high school orchestra serenade us nearby, shop for fresh veggies from the local market and experience Italy's best invention at the local pizzeria. What I didn't expect were the hiking trails and majestic overlooks. It was cool to do something around nature in a place usually reserved for sightseeing. We are so lucky to have such great people see the value in our small town. Please join them in getting this site more visibility so that this dream can become a reality! Check out our videos so you understand how important this town is for everyone. The Locals are working so hard to save their village. Please donate today. These are just some of the attraction that will be available at the park. There will be fun for everyone, but most of all, the locals will be able to be economically self sufficient! Disabled can participate in the fun! 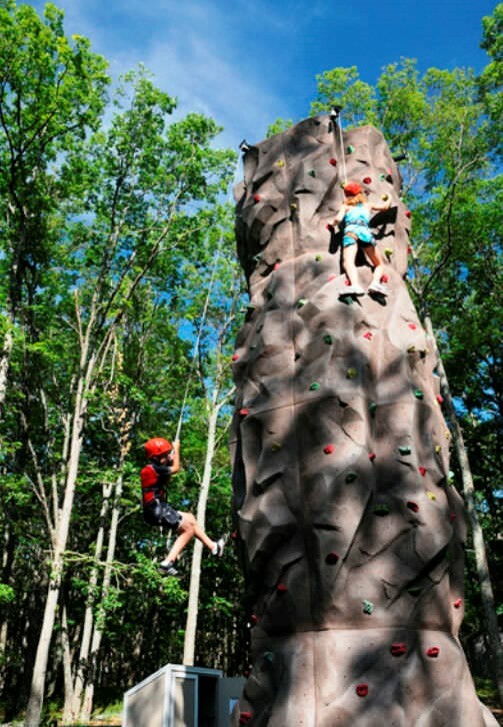 Check out the rock climbing! This looks like fun, too! We have a new video up. Check it out. Cant wait to see this a reality!